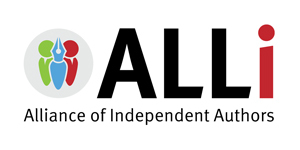 Debbie Young, Commissioning Editor of the Alliance of Independent Authors’ Author Advice Centre, will be speaking about the merits of self publishing and how to do it well as part of the Winchester Reading Series on Tuesday 27th Jan from 6pm – 7.30pm in the St Alphege building, room SAB001. Debbie is an indie author of fiction and non-fiction, including OPENING UP TO INDIE AUTHORS and SELL YOUR BOOKS! She also reviews self-published books for various magazines and websites, including the Vine Leaves Literary Journal, the Historical Novel Society and the AIA manuscript appraisal service. Her short story collections include QUICK CHANGE and STOCKING FILLERS. This event is free and open to all. Bring your publishing questions! Our Winchester Reading Series page gives details of more events to come. Please take a look and make a date in your diary. This entry was posted in Winchester Reading Series 2015 and tagged Debbie Young, Reading Series, self publishing by Litmus 2015. Bookmark the permalink.